Click through for Case Study. Working with the ONS Senior Leadership, AllChange helped develop a joined-up view of the ONS Corporate Vision and associated future Operating Model. Click through For Case Study. Working with the IT Leadership Team, AllChange created a mechanism that would help the leadership team articulate their IT Transformation Vision. Click through for Case Study. Working with the CGI Senior Payments Leadership, AllChange helped produce a Strategic Narrative that encompassed CGI's Global Payments Vision & Strategy. Click through for CIO Quote. We helped the Northgate Executive develop their strategic narrative, then created a Blueprint Illustration to help articulate their Corporate Vision and Outcome-based Target Operating Model. We supported RBS with a series of Blueprint Illustrations to help them explore, understand and articulate their group-wide data transformation. 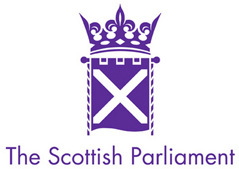 We helped the Scottish Parliament Service Executive Team articulate their 5 year strategy using the Strategy Framework. Working within both Defence and Security environments, AllChange have supported senior program teams to articulate major IT & Organization transformation initiatives that power efficient high-performance execution. The transformation products we provided were wired to help visualize, shape and deliver change in a way that get people to clearly understand, identify with and believe in the new initiative, direction or way of working - then make it happen. We provided Novartis with a Rich Picture Animation in support of a major change program. We supported the Geomechanics Division with a Global Sales Strategy event using the Visual Meeting product. We provided informa with a groundbreaking Visualization solution for their Conference & Event Division. This involved live visual capture during the conference as well as production of an innovative interactive visual document designed to support delegate memory and follow-on activity post event.